I was inspired by this blog post, to do something grand for my very sweet guy. 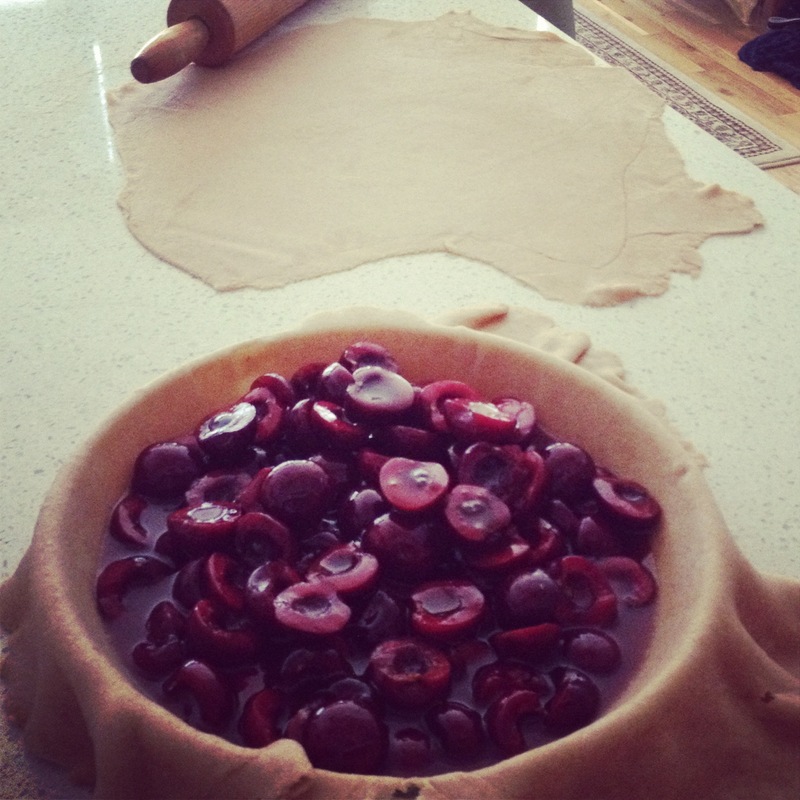 So I decided to bake him a cherry pie. 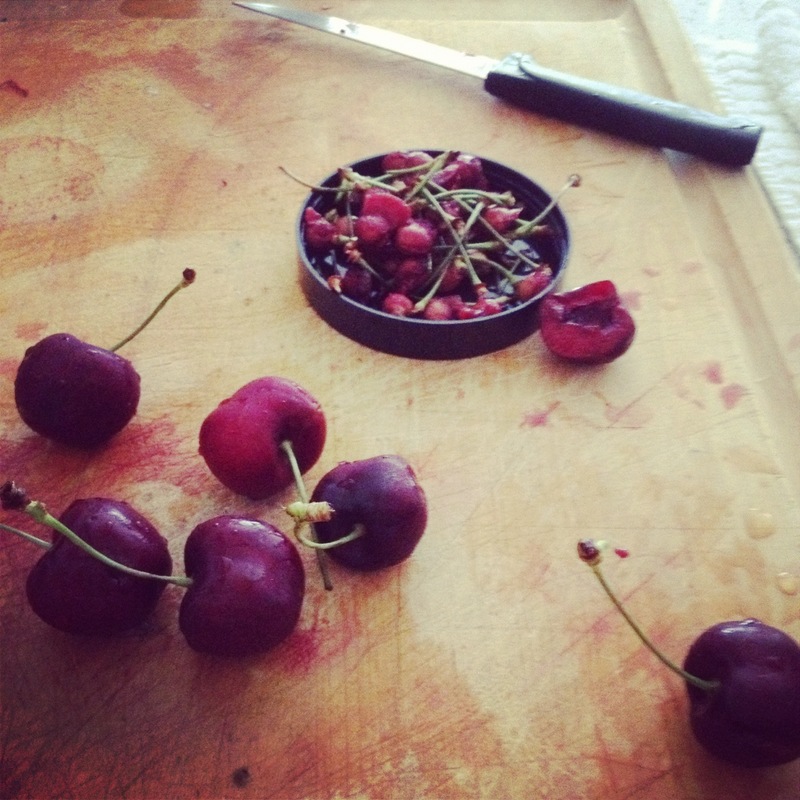 He has been nostalgic for a while for this taste, so I gathered some cherries and wrestled the pits out of their case. I made a healthy crust: almond milk, whole wheat flour, and canola oil. Rolled and rolled it out nice and flat, then set it to bake…and well, you could certainly taste the healthiness in the crust. Since it has remained almost full under foil ever since. It may have been burned, with cherry juice bubbling ferociously over- it certainly was not the most beautiful pie around. Still the sentiment of love, appreciation, and surprise remained strong and true, and that’s all that counts for me and you.